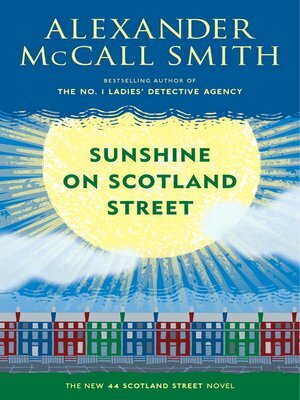 From social media to the finer points of human behavior, this latest episode of Alexander McCall Smith's popular 44 Scotland Street series provides an entertaining commentary on a small corner of modern life in Edinburgh where, contrary to received wisdom, the sun nearly always shines. Angus Lordie and Domenica Macdonald are finally tying the knot. Unsurprisingly, Angus is not quite prepared and averting a wedding-day disaster falls to his best man, Matthew. When the newlyweds finally head off on their honeymoon, Angus's dog Cyril goes to stay with the Pollocks--to the delight of one member of the family, and the utter despair of another. The long-suffering Bertie knows firsthand how stringent his mother's rules can be, and he resolves to help Cyril set off on an adventure. Meanwhile, Big Lou becomes a viral Internet sensation, and the incurable narcissist Bruce meets his match in the form of a doppelganger neighbor, who proposes a plan that could change both their lives.